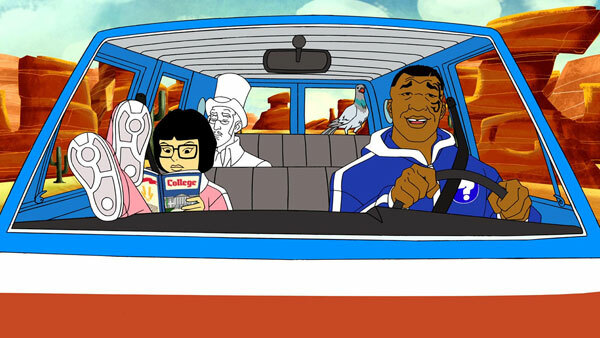 Absurd—that is the only word that can accurately describe Adult Swim’s Mike Tyson Mysteries. How else can one explain a show in which boxer Mike Tyson solves mysteries with the help of a team that includes his adopted Korean daughter Yung Hee (Rachel Ramras), ghost Marquess of Queensbury (Jim Rash) and a talking pigeon (Norm MacDonald)? You can’t, and so the cartoon leans hard into absurdity. 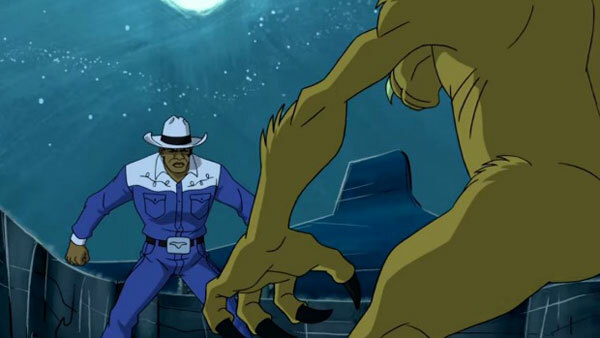 Skewering 1980s cartoons such as Scooby-Doo, Mike Tyson Mysteries has everything you want in a classic Adult Swim cartoon: ridiculous gags, raunchy humor and weird celebrity cameos. The first season gets off to a strong start with the first two episodes and the novelty of Mike Tyson playing himself and poking fun at his own persona. At times, however, the novelty wears off and the writers push too far with the absurdity; some episodes collapse under the weight of their own ridiculousness. But the show finds its stride with the last half of the 10-episode season. Jokes and story are more consistent. The writers find a sweet spot of loveable and ridiculous in their portrayal of Tyson and nail it. After finding the line of too much absurdity in the first half of the season, the writers back off to just the right amount in the second half to create a delightful show that fits right in with Adult Swim’s programming. The writers do lean heavily into Tyson’s persona with jabs at everything about him, from his lisp to his past. In his performance as himself, Tyson takes it all in stride and seems to be in on the joke and enjoying himself. The cast making up Tyson’s team are equally entertaining and simply fade behind the spectacle that is Tyson in a track suit solving pseudo-mysteries. Rash and MacDonald shine as the bickering ghost and pigeon. Some of the funniest material has nothing to do with Tyson and stems from this catty relationship. Ramras’ performance as Yung Hee helps keep Tyson grounded as she is the most normal character on the show. She’s the audience, continuously dumb-founded but still hanging around to see what happens next. 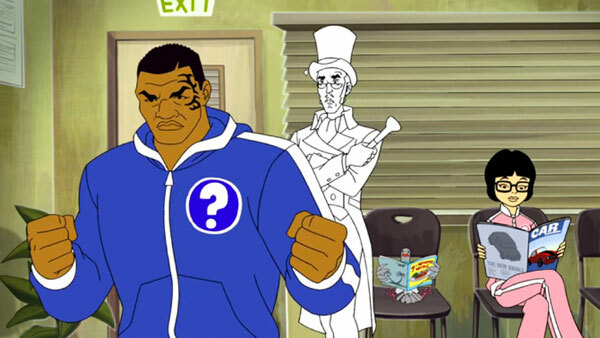 Mike Tyson Mysteries doesn’t try to be anything but what it is—an absurd and raunchy cartoon. The writers strike a perfect balance between poking fun at and paying tribute to the man at the show’s center, whether through outlandish, over-the-top bits or subtle nods in the background. While season 1 is not worth owning on DVD, Mike Tyson Mysteries does show some promise as it continues on in season 2, premiering Nov. 12 on Adult Swim. If you’re a fan of that classic Adult Swim humor or just a fan of Mike Tyson, you will probably get a good laugh from this series.